It's been brutal waiting for the fourth season of the cult animated series Rick and Morty to arrive. Luckily, fans of the franchise will have something to tide themselves over with until the Cartoon Network show's inevitable return. 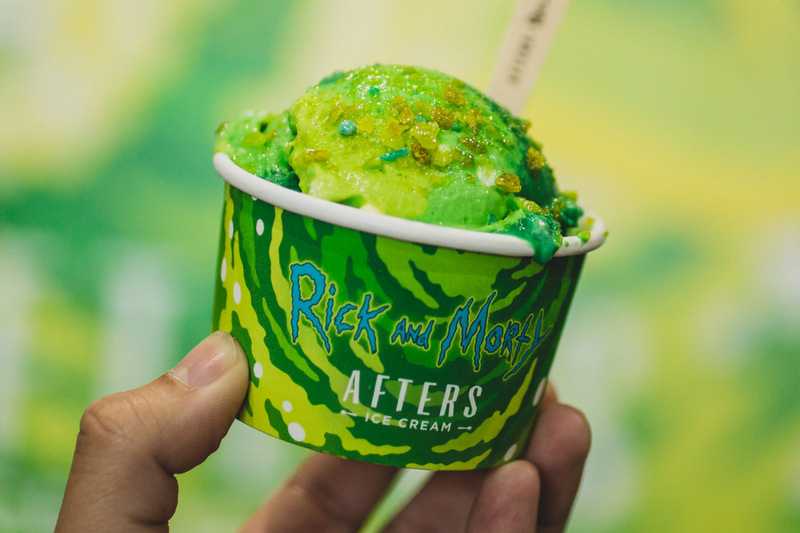 Immensely popular ice cream chain Afters Ice Cream has announced that December 1 will be the start of their Rick and Morty pop-up. 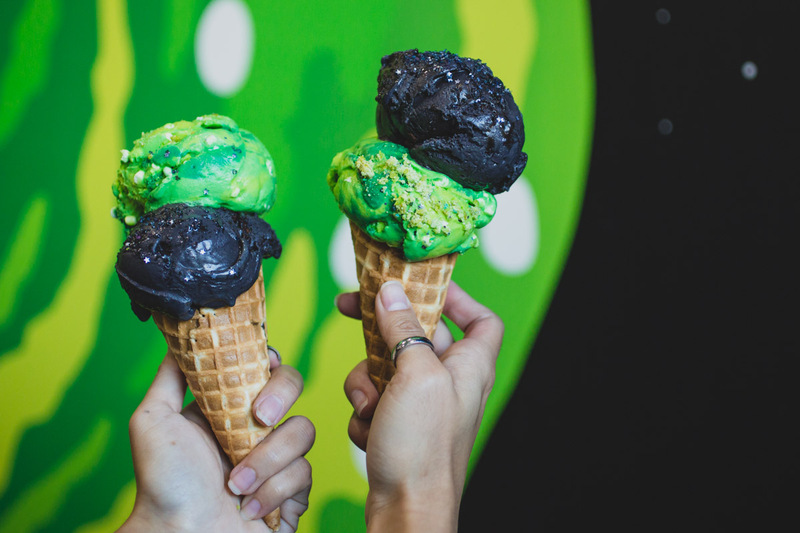 The collaboration will feature two unique ice cream flavors based on the series, clothing, merchandise, and in-store decor at all 25 Southern California locations. Boasts a Rick and Morty interdimensional portal. The green-colored caramel ice cream houses dehydrated marshmallow, and green apple popping isotope candy. 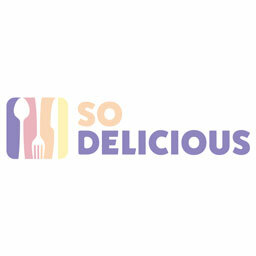 A black brownie batter that's topped with brownie bites and black galaxy sparkle sugar. Last August, Afters co-founder Scott Nghiem revealed on The Katchup Podcast, the plans to collaborate with Rick and Morty. If you haven't given the most downloaded episode of the Foodbeast podcast ever, it's a good one to jump into the series on. 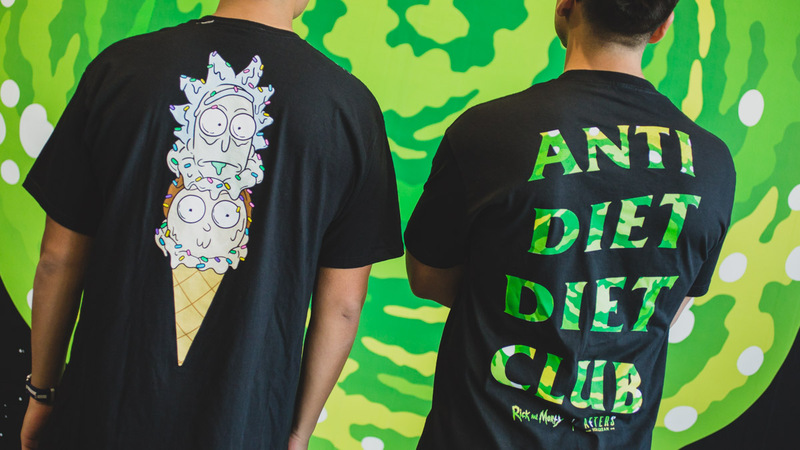 The first 50 customers to arrive for the 6 p.m. launch and purchase the ice cream, will receive a free Afters Ice Cream/Rick and Morty T-shirt. There will also be an interactive Rick and Morty experience, exclusive to the Pasadena location. 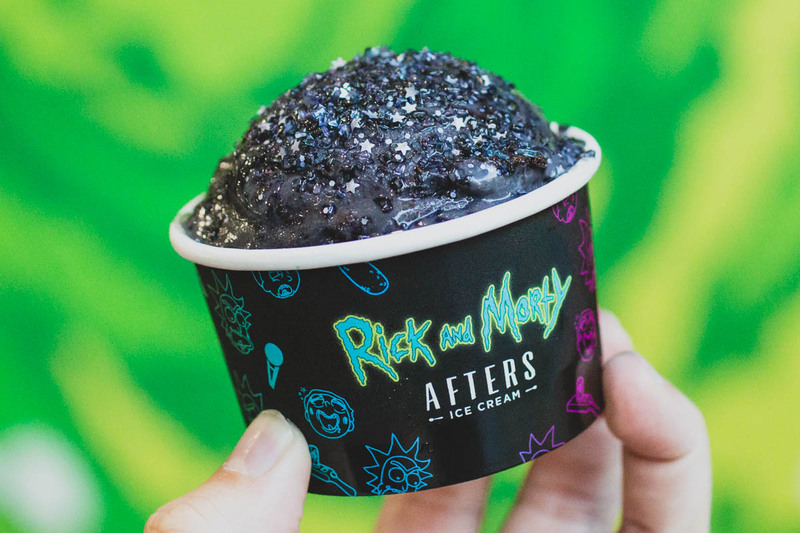 Not gonna lie, when we heard about this pop-up, we were hoping for a "Pickle Rick" flavor. Ah well, maybe at the next collab.